lessons learned in life. 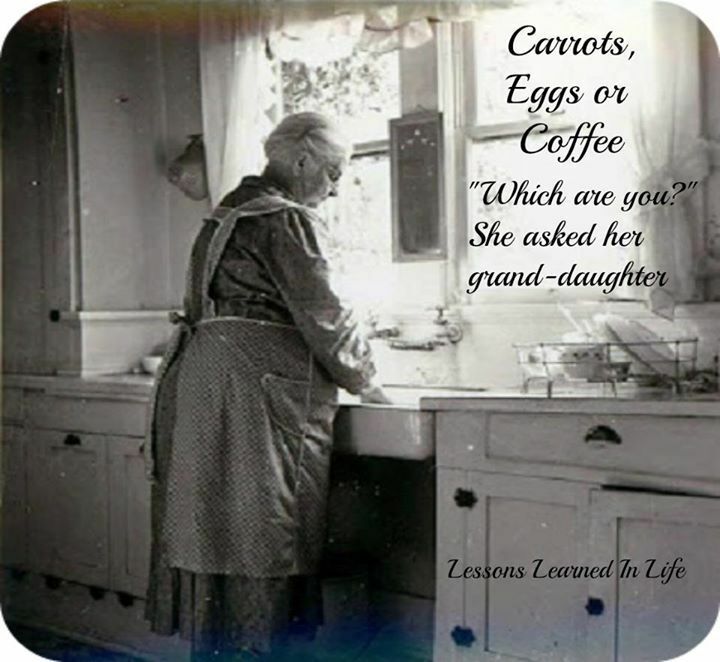 Which one are you, carrot, egg or coffee? The carrots became soft, and more enjoyable. The eggs became hard, inflexible and sterile. Worst, fared the coffee beans. They gave it all away, became spent and lacking substance. I am with the carrots. Softness is not the same as weakness, and they get along with eggs, meat and spices in the same pot. Life is changing us, every moment, but we are changing the world around us too..